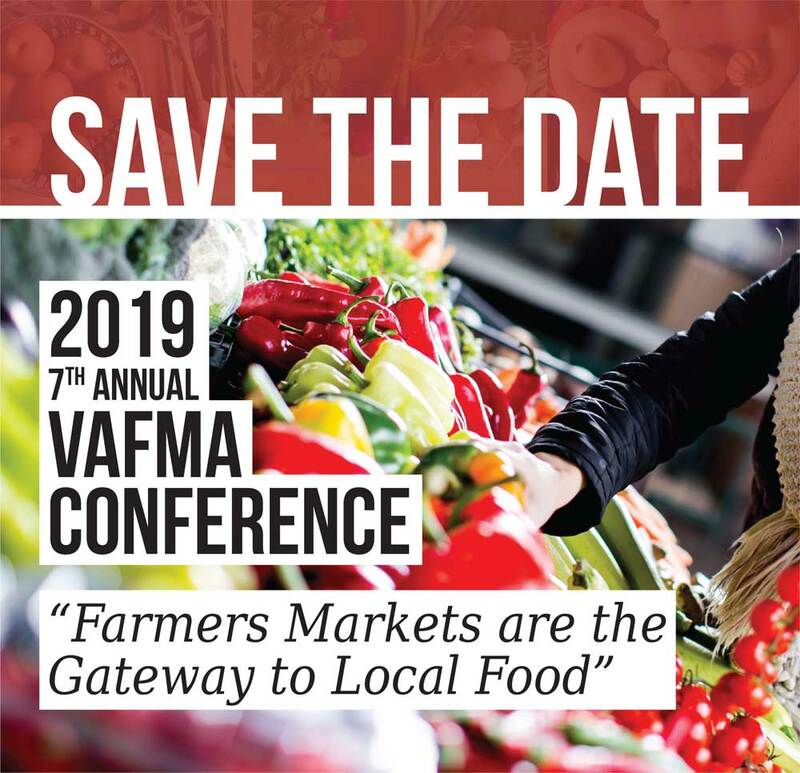 The 2019 Virginia Farmers Market Conference is in Staunton, VA November 13-15! VAFMA’s 7th Annual Virginia Farmers Market Conference is November 13-15 in Staunton at the Stonewall Jackson Hotel. This 3-day event will have targeted workshops, dynamic speakers, a day of pre-conference sessions and fun-filled social networking events including a winery tour! There will be tracks for beginners and experienced participants alike along with an exhibit area packed with resources. This year’s theme focuses on Agritourism — an often untapped path for helping shoppers discover farmers markets. Sessions will also cover other topics tailored to the needs of market managers and vendors.